Monkey Island 2 is undoubtedly a classic of the genre, proving bigger and better than the original The Secret of Monkey Island in almost every way. So, the question isn’t ‘Is this a good game?’ it’s ‘Is this a better version?’. To put it plainly, the answer is ‘Yes’, because this Special Edition holds everything that was in the original, plus a few improvements. 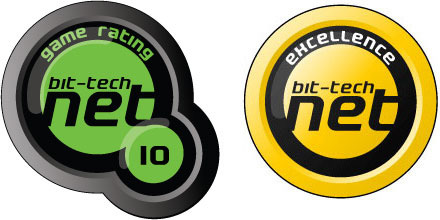 In fact, it even has improvements added on over the improvements that were made for the Special Edition of the first game. 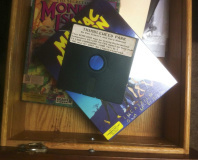 It’s Monkey Island ++, if you like. The story opens quickly, with a now slightly bearded Guybrush Threepwood (Mighty Pirate™) sat on Scabb Island with a fancy new coat and a big quest to match. He’s looking for Big Whoop, at first simply because he wants a new story to tell to his friends, then later because it’s the only thing that can protect him from his undead nemesis, Lechuck. Well, technically he's un-undead now because, as Guybrush points out, "He was already dead when I killed him the first time!" Now though, the Ghost Pirate Lechuck has been turned into the Zombie Pirate Lechuck. That's not going to make him any more pleasant to deal with. Guybrush bumps into plenty of other now-familiar faces on the way to finding Big Whoop, from Wally the Cartographer (“You do open-heart surgery in here? !”) to love interest Governor Elaine Marley – but the real star of the show is the world itself. Even Guybrush’s own loveable ineptitude is eclipsed by the brilliantly realised (or re-realised) islands, each of which has it’s own theme. Booty Island especially, with it’s non-stop Mardi Gras, spitting contests and cacophonous theme tune, seems to sum up Monkey Island 2 all on it’s own. It’s bright, cheery and wonderfully, deliriously anachronistic. Cripes on toast, it’s a pirate game with glass-bottomed boats! Just like the re-release of the first game, Monkey Island 2 gives you the chance to switch between the classic look and the new hi-res graphics, but things don’t stop there this time around. There are other, new features which will make Lechuck’s Revenge worth picking up even if you’ve played it a hundred times before and can speed-run it in an hour. Trust me. The art gallery is probably the biggest addition and is made up of concept art old and new, but it’s the developer commentary which stands out the most. There’s only an hour of audio, broken up into short segments that can be triggered in certain areas, but it’s of consistently high quality. Monkey Island creator Ron Gilbert sits down with writer/programmers Dave Grossman and Tim Schafer, dishing up equal parts nostalgic behind-the-scenes and friendly joking. 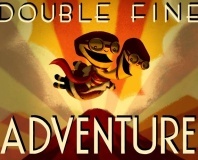 Each of the trio has worked on some of the most highly rated games ever made, so hearing them talk frankly about one they worked on together is a rare joy. While the developer commentary and art galleries are good though, the most important tweak is also one of the most subtle. 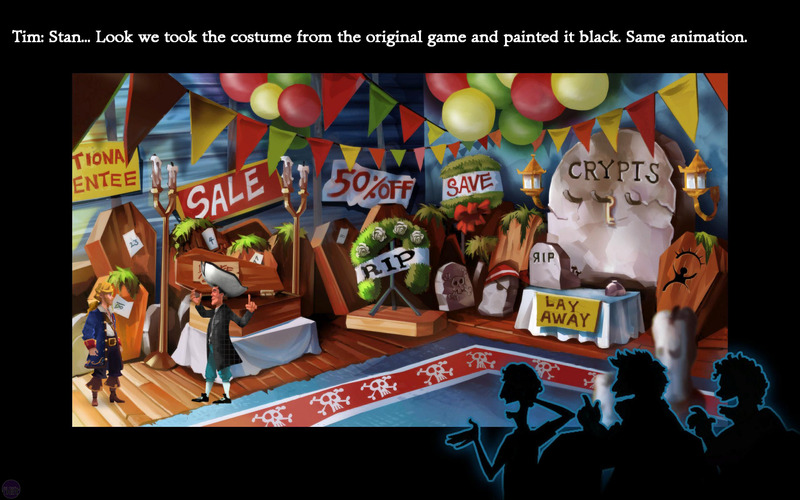 A slight adjustment to the SCUMM engine means that, unlike the first game, Monkey Island 2’s re-release doesn’t have pauses at the end of every line of dialog so subtitles can catch up. Jokes and conversations now flow more naturally and humorously as a result and you aren’t constantly wondering if Guybrush is a bit of a simpleton. As we said at the start, Monkey Island 2 is undoubtedly a classic and was already assured a highscore, if only because I’m the one reviewing it. Monkey Island isn’t a topic I can usually be relied upon to deliver unbiased opinions about; I tend to lose perspective, I know. 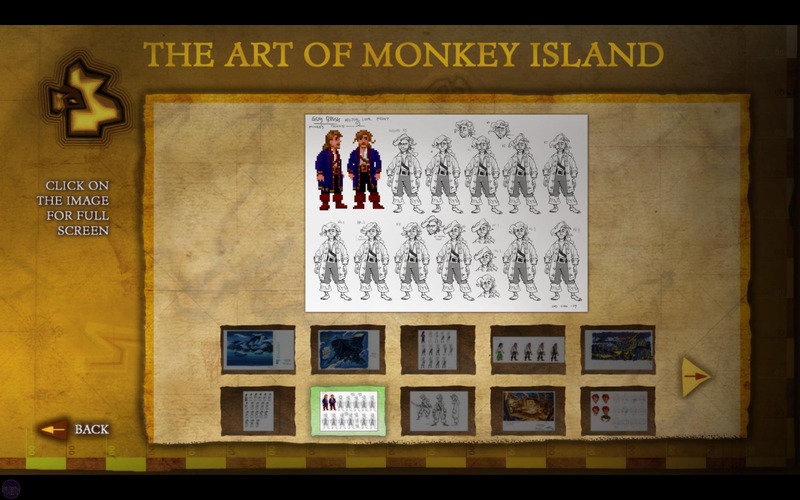 Then again, Monkey Island 2: Special Edition is so unassailably good that personal bias doesn’t really matter. It’s that good. Grab a friend or loved one, buy the game and devote a few nights to playing it together, taking the backseat if you’ve played it before; that’s the way Monkey Island should be enjoyed and I promise you won’t regret it. 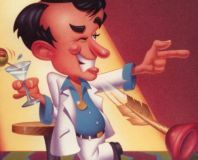 Replay Games has announced a series of HD remakes of Leisure Suit Larry.